Being born and raised in the Tampa Bay area, I was introduced at a very young age to fishing by my father and grandfather. As I grew older I decided to turn my passion into a career as a professional fishing guide. Using live bait and chumming is my preferred method for catching Snook, Trout, and Redfish. Watching these various species crash baits on the surface is enough to get anyone's excitement up. Let’s start with “what a great trip!” Capt. Kyle was on time, had an excellent boat, knew his way around on the water, knew how to find fish on what I would consider tough conditions. he had plenty of bait, solid tackle, good conversation, great music and put us on some awesome fish. my buddy Chet and I both had an in shore Grand Slam! Plus we took some fish home filleted by the Captain himself. And Kyle sent us some nice pictures later that evening. I would recommend Kyle Nilfong to anyone looking to spend a fun day on the water and plan to use him again in the future. 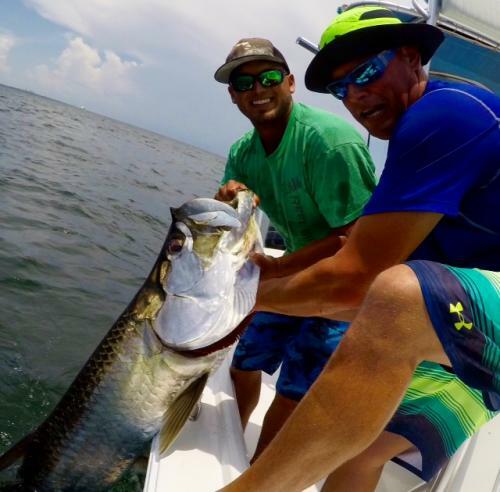 Reel Water Fishing Charter is the Reel Deal. A great day on the Intercoastal! The three of us had a great time on the water with Captain Kyle! He didn’t spend to much time at any one spot, and kept us moving around until we caught some great fish. I would book with him again!